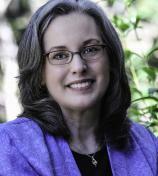 Cindy Woodsmall is the million-selling New York Times and CBA bestselling author of 15 novels. Her connection with the Amish community has been widely featured in national media outlets from "ABC Nightline" to the Wall Street Journal. Her real-life connections with the Amish Mennonite and Old Order Amish families have enriched her novels and provided the opportunity to work with National Geographic on a documentary concerning Amish life. Cindy and her husband reside near the foothills of the North Georgia Mountains. When Old Order Amish Rose Kurtz is asked to leave her family and help Joel Dienner with his children in the wake of tragedy, the quiet young woman recognizes a home where she might find kindness instead of criticism and hope replacing harsh words. She agrees to stay in Forest Hill and become Joel’s wife for the sake of his family needs, but their marriage is to be a partnership, one built from need, not love and affection. As the years pass, Rose continues to beckon Joel to join life again, to take joy in his growing children, and to awaken his heart to the possibility of new love. But will the arrival of a beautiful widow and a series of misunderstandings reverse how far Rose and Joel have come? At 19 years old, Old Order Amish Jolene Keim was on the brink of happily-ever-after when everything changed, stealing the future she expected and burdening her with an unbearable decision. Years later, she meets Andy Fisher, who challenges her and holds up a mirror to issues Jolene has been unwilling to face. As Andy and Jolene find themselves confronted by difficult choices, will they trust in God's guidance --- or will the allure of their deepening friendship only lead to further temptation? When Sadie discovers Levi in a deserted field, he’s been badly injured. As these two Old Order Amish become friends, each finds in the other an ally against their respective families’ desires to see them find a spouse. But as the summer months fade into autumn and snow begins to fall, what happens when they start to truly care? Working hard to develop a new Amish community outside of Unity, Maine, Rhoda Byler is fully committed to rehabilitating an orchard with business partner Samuel King. But an impulsive decision has created an unexpected strain in her relationship with her beau, Samuel’s brother, Jacob, threatening plans for the orchard. As Rhoda uses her gift to unpack an old secret with her Englisch neighbors, it is not her beau but an unlikely ally who cheers her on. The tornado that devastated Kings’ Orchard pushed Rhoda, Samuel and Jacob to make a new start in Maine. Are they strong enough to withstand the challenges of establishing an Amish community --- and brave enough to face the secrets that move with them? Those questions and more will be answered in book two of Cindy Woodsmall's Amish Vines and Orchards series. Experience the holidays with the Plain folk of Apple Ridge, Pennsylvania, in these touching novellas centered around love, romance, heartache, and restoration from best-selling author Cindy Woodsmall. This three-in-one collection includes "The Sound of Sleigh Bells", "The Christmas Singing", and the new story "The Dawn of Christmas." Old Order Amish Samuel King needs to keep the family apple orchard profitable, while 30 miles away, Rhoda Byler’s father must take back her two-acre grove. Samuel believes he has an answer to both of their business needs, but removes his offer when he learns that Rhoda may practice magic. When a tornado destroys his orchard, Samuel joins a group of Amish who will establish a new settlement in Unity, Maine. Unaware of Samuel's plans, Rhoda has joined a different group of Amish heading for that same destination. Annie Martin loves the Plain ways of her Old Order Mennonite people. Retreating from a contentious relationship with her mother, Annie goes to live with her Daadi Moses in Apple Ridge. But as Annie spends time with the handsome Aden Zook, she wishes she could forget how deeply the lines between the Old Order Amish and Old Order Mennonite are drawn. Mattie thought her childhood sweetheart adored her until he abruptly ended their engagement on Christmas Eve. Three years later, will learning the truth behind his rejection restore her Christmas joy --- or open the door to even deeper heartbreak? Although she would like to put her experiences as a nurse behind her, Rosemary Saxon must support herself. She takes a position with Dr. Elijah Stewart and a mutual attraction begins to develop. But when a sophisticated woman arrives in town claiming to be Elijah's fiancée, a heartbroken Rosemary decides to leave Noble Springs and start fresh. Can Elijah convince her of the mystery woman's deception before he loses her forever?